Spam is BIG in Hawaii - #1 in consumption. HI has an annual Spam festival. Portuguese flavored Spam can only be found in HI because of Portuguese sausage that is also a big thing in HI. Poke (pronounced poke w/accent mark on the "e") is BIG in HI too. It is raw ahi tuna (most popular). It is also done in salmon, mussels, clams! I understand it is yummy! If you live in California, poke restaurants are popping up like crazy thanks to local Hawaiians coming to California. A build-your-own bowl is very popular. "Sylvia, I think I must schedule another visit--do you think you can stand me visiting again so soon? LOL"
Shave ice (not "shaved"--that's wrong). The best is found at a little old wooded building in the McCully/Waiola area hidden amongst houses/apartments. The ice is ground very, very, very fine. I have not found anyplace in Oregon that even comes close to the shave ice I've had in Hawaii and California. Oh yes, I love shave ice flavored with papaya/mango or mango/lime! When you visit in person, make sure to climb Kokohead Crater. It is an uphill battle over old trestles with no carved out trails. Your effort will be rewarded with a sunrise you will never forget. Hawaii state's nickname is "Aloha State' because the word 'Aloha' is one of the most commonly used words in Hawaiian language. 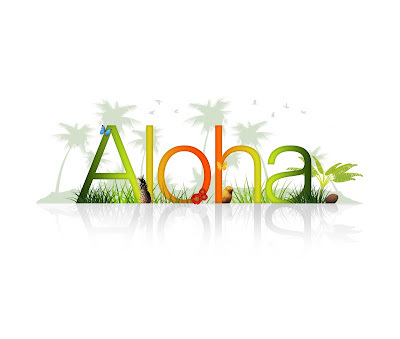 Based on the context, Aloha can mean 'hello', 'welcome', 'love', 'best wishes' or even 'goodbye'. Hawaii is the only state in United States where whites (Caucasians) are in minority. About 38% of Hawaii's population are of Asian ancestry. 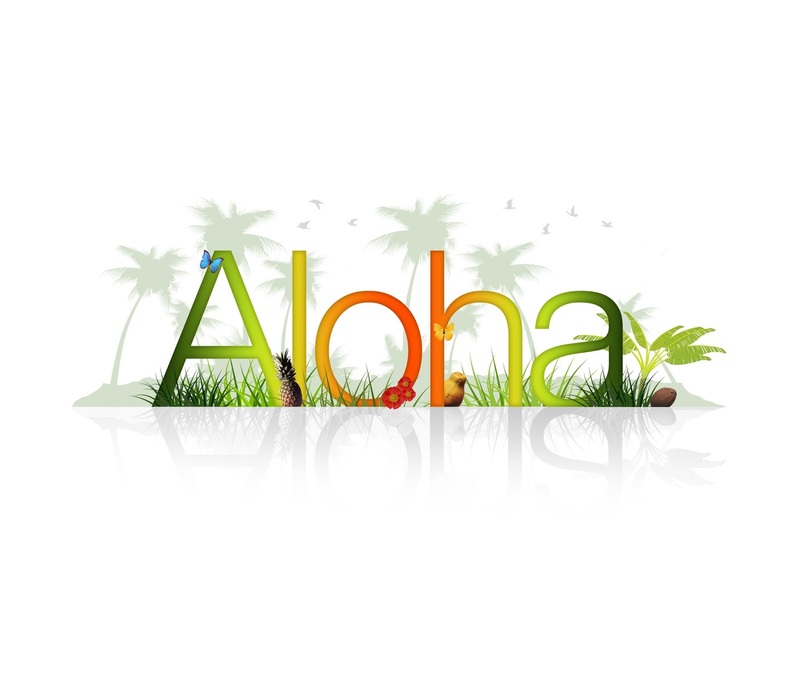 Hawaiian language has only 12 letters (A, E, I, O, U, H, K, L, M, N, P and W) and a symbol called 'okina (') and it indicated a glottal stop (slight pause) 'Okina is often represented by the apostrophe (') but its official symbol (') In Hawaiian language, Hawaii is written as: Hawai'i. Every word in Hawaiian language has to end with one of five vowels (A, E, I, O, U). The kahakō symbol is a line placed over a vowel. It directs speakers to stretch out a vowel sound. Hawaii is the only state in the United States to honor a monarch, celebrating King Kamehameha Day on June 11th since 1872. King Kamehameha I (Kamehameha the Great) is known for uniting the Hawaiian Islands in 1810. A Lei is a wreath comprised of nature's gifts (flowers, leaves seeds, nuts etc.) presented upon arriving or leaving as a symbol of affection. A lei is usually given with a kiss. It is impolite to refuse a lei or remove it in front of the person who presented it. A lei should never be thrown away casually. It should be returned to the earth by hanging as a decoration, burying, or burning. I saved the lei for last because that was my inspiration for our souvenir for Hawaii. Hey did you know that the Hawaiian language does not distinguish between singular or plural so you can have one lei or many lei! Isn't that cool! We all wash our hair. I like to wrap my hair in a towel but towels do not like staying on my head. I'm constantly fidgeting with the towel to keep it in place. Let's make a custom wrap for our wet heads and embellish it with a flower that is commonly used to make a lei--plumeria. The most common plumeria flower I've seen is white, but there are also pink and yellow ones. My towel I used is white so I chose to do my plumeria in pink fabrics. So I present you with my gift to you for traveling with me on this thoughtful journey as we take a break from typical quilt making to create a personal gift for ourselves or to gift to someone you love.